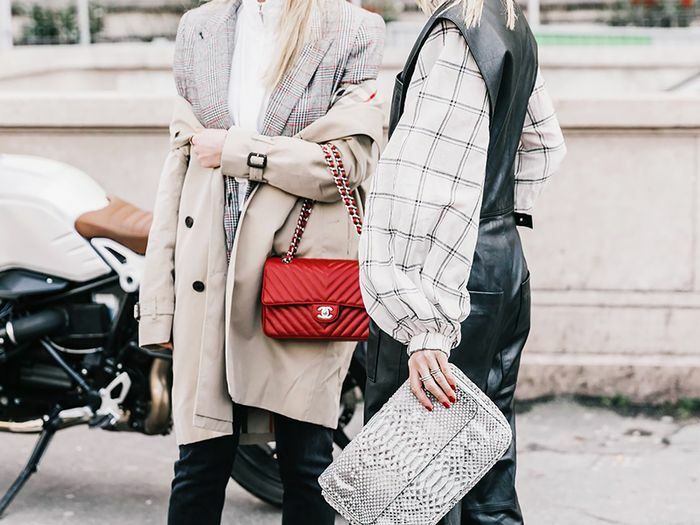 We decided to take this opportunity to investigate, reaching out to a handful of some of the most influential women in the industry to learn about the intimate details of their work wardrobe essentials. What was the main takeaway? That the definition of "feeling powerful" varies depending on who you talk to, but the common denominator is always feeling like the woman you want to be. The correct portrayal of "power" in this case is in the eye of the beholder. Some of the wonderful women ahead revealed that showing up to work in running clothes makes them feel like they can conquer the world, while others regret to say that jeans in the office are a big no. Differences aside, these lovely ladies are an inspiration to women everywhere, and if their good taste doesn't convince you of that, their wise words will. "There aren't so many rules that say what a powerful woman wouldn't wear so much as what she would wear, and that is anything that makes her feel confident, which is exactly how she got to be powerful. It is different for every woman. For example, I almost never wear jeans to work because they're not polished enough and not the image I want to portray as a person running this company. But I know plenty of very powerful women who do wear jeans and look fabulous and powerful. A powerful woman knows what becomes her and allows her to strive. I'm cautious saying this because you always hear the same trope about a suit making you feel powerful, which can be perceived as a holdover from more sexist times, but for me, I actually think it's true. A good suit makes me feel comfortable and sophisticated at the same time." "Because I work in a creative industry, power dressing to me is slightly more understated and dressed down. There are very few rules as to what I cannot wear to work, but there are things that I will never wear. One of my biggest rules is that I never wear anything too revealing. In order to feel confident in a business environment, I need to be comfortable, and I don't ever feel comfortable wearing something that is going to be too exposed. I am fortunate enough to be able to wear denim to work, so I always make sure to incorporate one element that is elevated into my outfit. For example, I'll style my jeans with a gorgeous silk blouse from Ellery, a heritage blazer from Stella McCartney, or a stiletto heel from Gianvito Rossi." "Since we consider Create & Cultivate a true startup, my 'work' outfits range. When we are on site prepping for a conference, I'm in leggings—I love Beyond Yoga and Nike. I also always rock a fanny pack. I need my phone and a measuring tape at all times. When I know I have a meeting or someone is coming in to shoot the space, I love pieces from brands like & Other Stories, Zara, COS, and Creatures of Comfort. I'm feminine but simple. A lot of my work outfits are neutral colors like navy, taupe, and black. I always joke that I could live in Eileen Fisher. I feel most powerful when my presentation is doing the talking, not my outfit. As I get older, I'm less about mixing and matching crazy patterns and more about keeping it simple so I can get out the door and get things done. I very, very rarely wear jeans. You'll never catch me in a high-waisted Levi. Or a stiletto. Love them, but they're not for me." This post was originally published at an earlier date and has since been updated. Next up, shop 25 pairs of boots that won't look awkward with jeans.